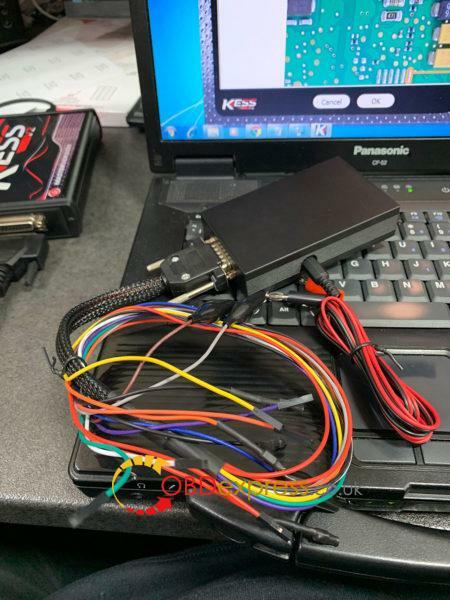 Possible to OBD unlock Simos PCR 2.1 with Kess V2 clone? 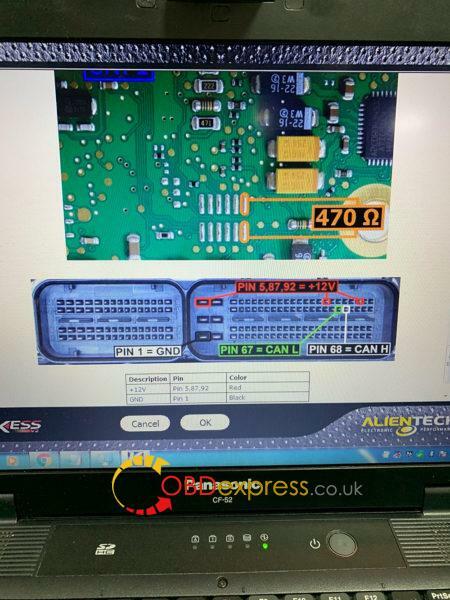 Look here: all information can be found here to help you unlock PCR 2.1 using Kess v2 china clone. 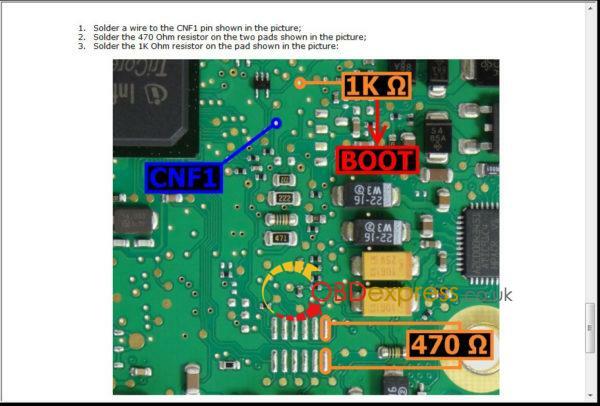 ECU connection for the bootmode unlocking procedure only! pcr 2.1 need to be as you know unlocked before writing . On this ecu pcr 2.1, ksuite (kess v2 or ktag) seem to be more stable than fgtech on pcr but work too sometimes: i get error with fgtech on one pcr2.1 but no problem with ksuite . So if you have both tools , prefer ksuite seem to be more stable & flawlessly and car run ok .
After you get you ecu unlocked in boot mode , with fgtech just remove boot and left pin connection , and read or write on bench . with kess it’s ok , BUT , you can’t use the tricore module ! The problem is that the harness is plugged in the tricore module . so you have to build your own bench cable : just get a obd female plug on a scrapyard , and wire +12 gnd and can h/l (kline is not used but you can wire it it will make a universal bench cable) . The trick to get communication error free on both fgtech and kess cable is to use a strong external psu . when the tool id or read or write the ecu , the ecu will perform a kind of reset , and the big cap inside the ecu will go charging , causing a drop in voltage if your psu isn’t strong enough to handle it . THAT WILL CAUSE THE COMM ERROR . That’s the only thing you have to take care . when i made test with many little psu (like one you get with your tools) i have seen 7 volts drop some time , so the ecu is shutting down and no comm . that’s why on the car you have no problem , car battery can handle the cap charging current . There is no immo caused comm error on this ecu , psu is the problem !! So in conclusion : good psu and obd home made bench cable , remove tricore module on kess = 100% tested bench flashing solution for pcr2.1 . VVDI Key Tool can unlock 7936 + copy key ID46 without a car?